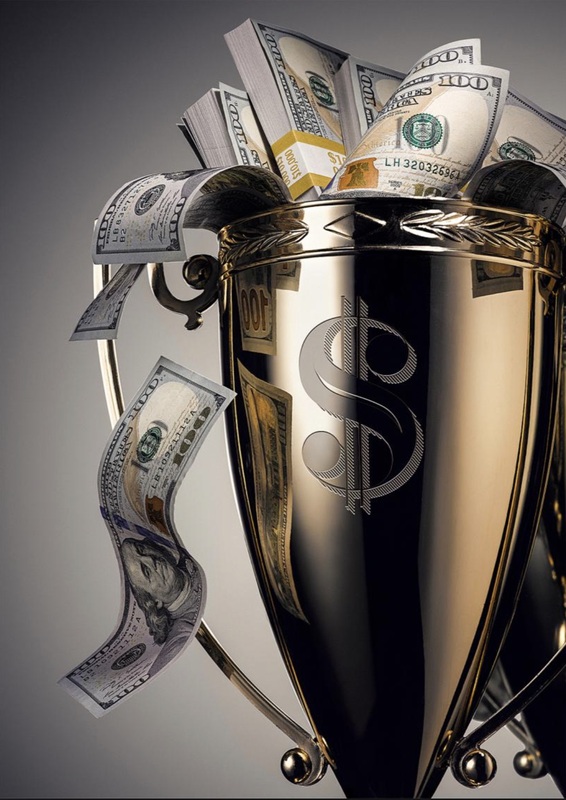 As we come to the end of what has been a wild summer, this stunning information about the gold bull market will blow your mind! 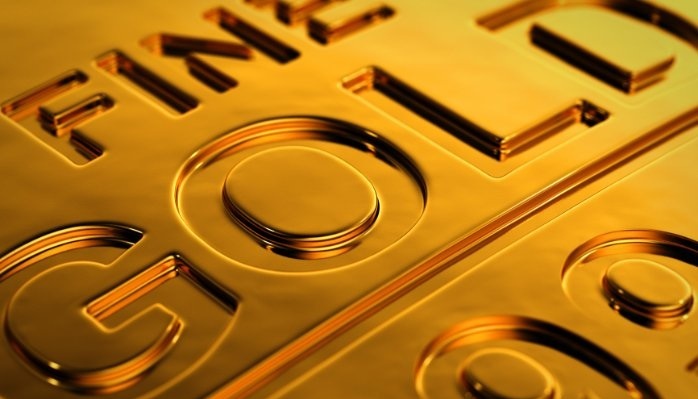 At the time our last gold report was published, the Gold Bugs Index stood at 152 points. The final low was put in on 19th January 2016, after the level of 104 had already been successfully tested on several occasions. The brief intraday-dip below the level of 100 in mid-January could well turn out to have been one of the greatest bear traps in history. Right thereafter a stunning uptrend began to take shape, in the course of which the gold mining stocks more than doubled within a few months. 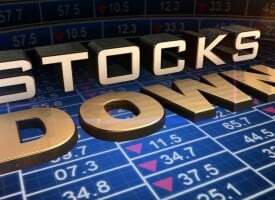 In the following pages we will explain why we believe that this breakout has marked the end of the cyclical bear market and why the boom in mining stocks has only just begun. Even though gold mining shares have celebrated an impressive comeback since the beginning of the year, market participants remain quite skeptical. The view that mining stocks are already trading at (too) high valuations and that the impulsive move was merely a “dead cat bounce” is still widespread. 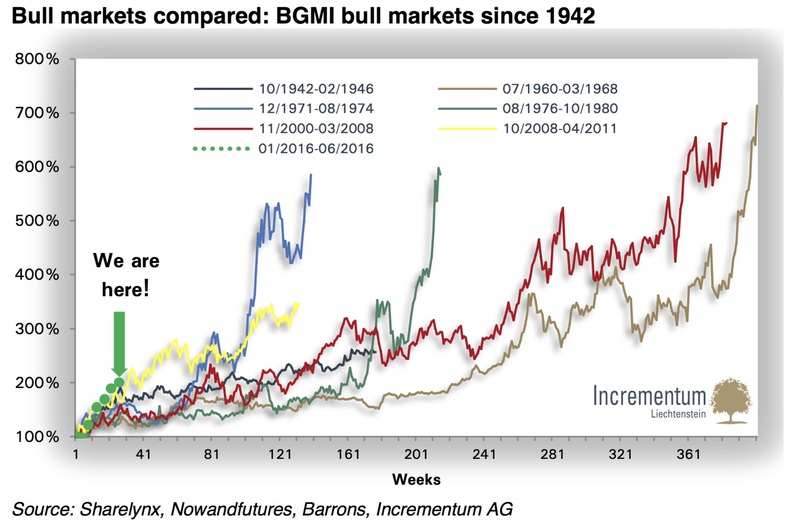 If one looks at all bull markets in the Barron’s Gold Mining Index (BGMI), one can see that the recent uptrend is still relatively small and short in duration compared to previous bull markets. 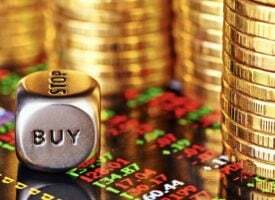 Thus, if this is indeed the beginning of a significant uptrend in gold mining stocks – which we assume to be the case – there should still be a great deal of upside potential. 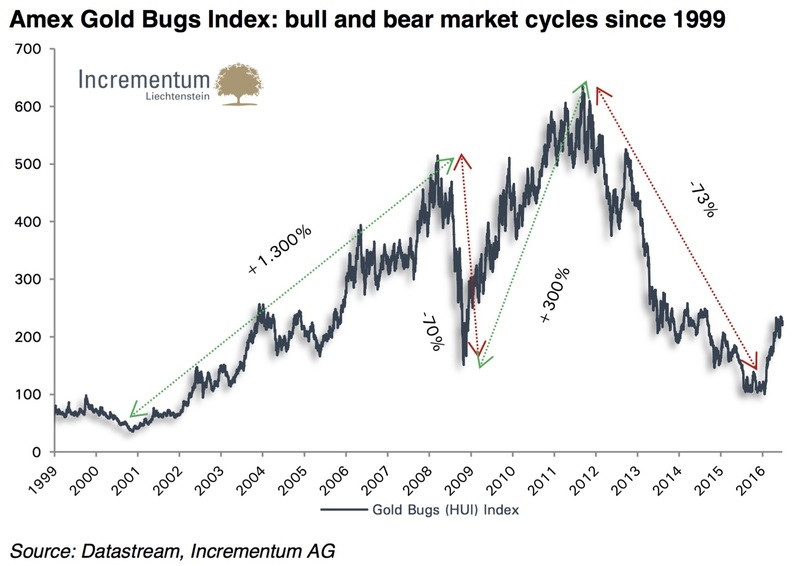 Relative to the gold price, the gold stocks in the Gold Bugs Index are at the same level as in 2001, when the gold bull market began. 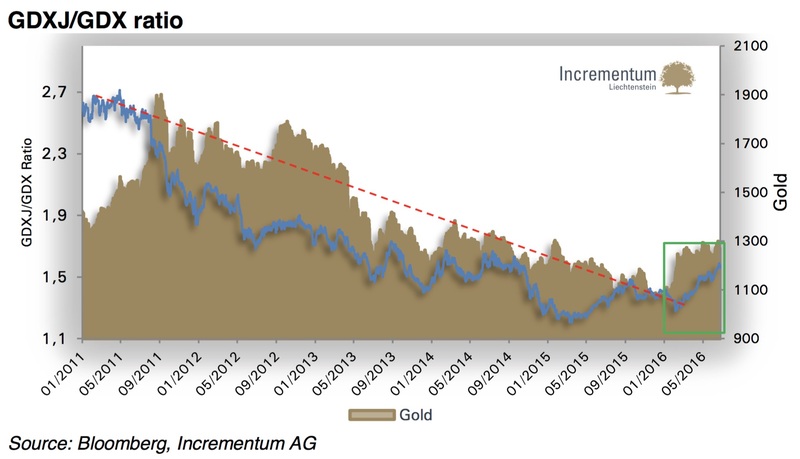 This is by itself strong evidence that gold mining stocks are cheap relative to gold. However, the following chart also shows that mining stocks were only able to outperform gold between 2001 and 2004. We have discussed the reasons for the disappointing performance of the sector in the period after 2004 and its fundamental problems in detail in last year’s report under the heading “Why have gold mining stocks performed so badly?” However, we also mentioned on that occasion that the gold mining industry had gone through a process of creative destruction and fundamental restructuring. As a result of this, we expect that in coming years, mining stocks will once again become the kind of leveraged bet on gold that investors crave. 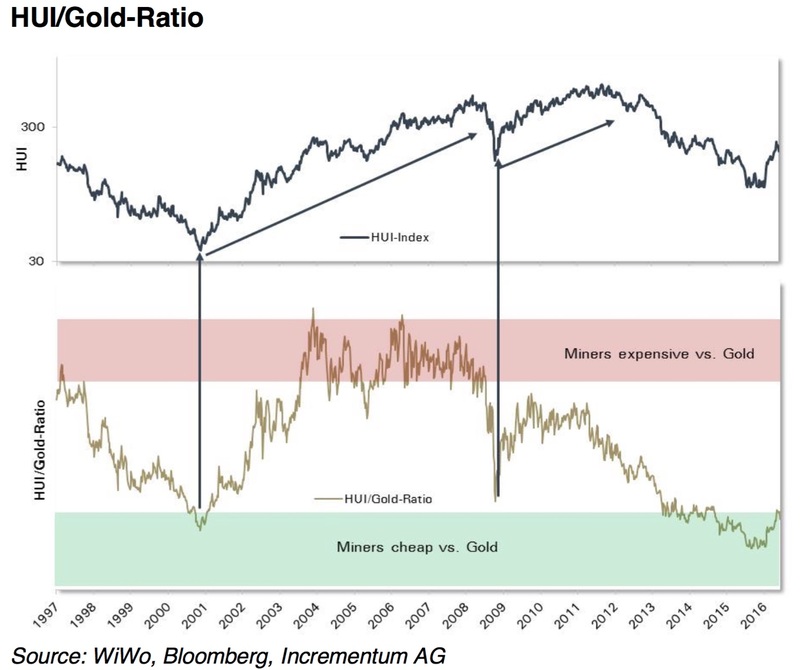 A very long-term ratio chart illustrates the extent of the undervaluation of gold mining stocks even more starkly. 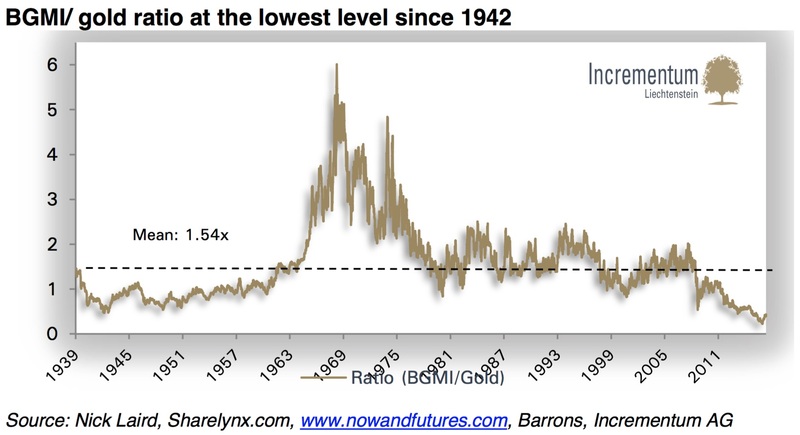 The Barron’s Gold Mining Index (BGMI) has recently reached the lowest level relative to gold in 70 years. 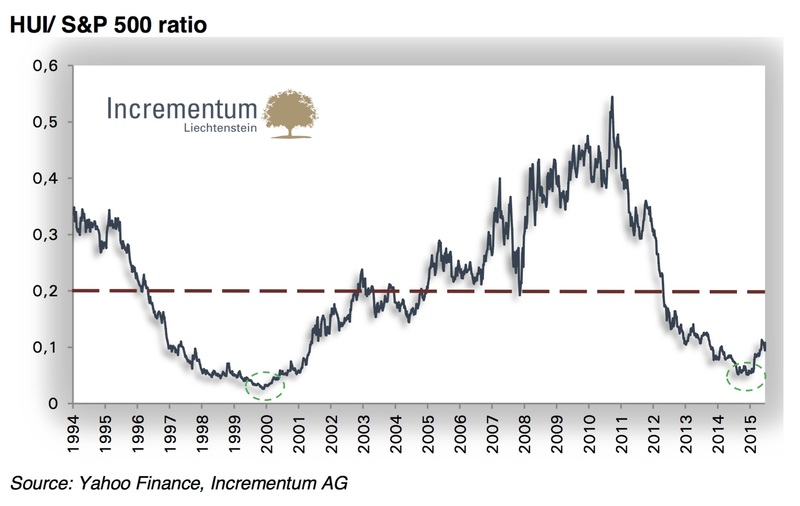 The ratio’s current level of 0.4x remains significantly below the long-term average of 1.54x. If one looks at gold mining stocks relative to the broad market (S&P 500), one can see that the gold sector has been treated with extreme skepticism since 2011. Up until recently, the ratio has been at the lowest level since 2000 and finally appears to have turned up again now. The average since 1994 is 0.2, which is twice as high as the ratio’s current level of 0.1. A reversion to the mean alone would imply significant upside potential for gold stocks, respectively downside potential for the S&P 500 Index. When the ratio rises, it indicates that the smaller junior shares are exhibiting relative strength. This implies increasing risk appetite on the part of investors. It can be seen that the ratio has bottomed and has recently broken through a line of resistance. Market and sector forces together typically cause 80% of the price movement in a mining stock, whereas a company’s fundamentals as a rule account for less than 20%.115 The following chart illustrates that gold stocks are anything but “buy and hold” investments, and have to be actively traded. Companies which have survived the drastic events of the past four years are now resting on a solid foundation. 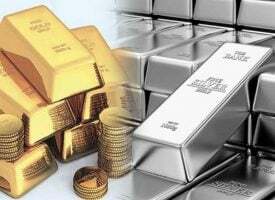 Efforts to improve operations have left producers leaner and will enable them to benefit to a greater extent from rising gold prices. Stronger balance sheets, rising free cash flows, higher margins and debt reduction are making us confident about the industry’s long-term prospects. 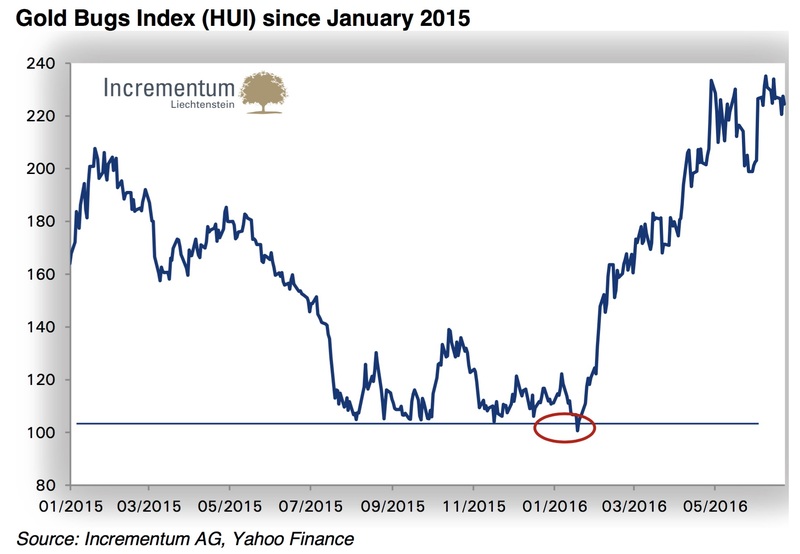 In addition, there are few sectors in which the investment community is as underweighted as in the mining sector. We consequently expect that mining companies and their long-suffering shareholders will finally reap strong rewards after several lean years. 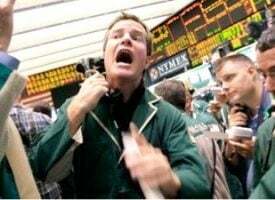 King World News note: The bottom line is that yes, the gold and silver mining shares have had a jaw-dropping rally followed by a correction, but KWN readers around the world must keep in mind that the mining shares are still near all-time historic lows in terms of ratios and their cross-valuations. 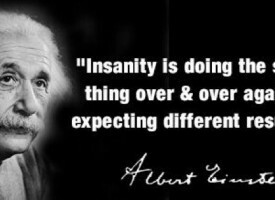 Always buy the big smashes in secular bull markets and be patient. Also, remember to have a plan in place to continue to accumulate the high-quality mining shares if the plunge gets more intense over time. This is how you make the big money in secular bull markets. ***Also just released: Prominent European Firm Issued A Nearly $60 Target For The Price Of Silver CLICK HERE.